Are You Allergic to the Drug Or to the Binding Agent? Learn what binding agents are and why they — not your medication — may be causing your reaction. In the ’90s, a customer walked into Norman Tomaka’s pharmacy and told him she didn’t want to take her thyroid medication anymore. Tomaka spent the next 15 minutes asking why: What about her medicine didn’t feel right? Were there other times she also felt that way? Then he called the drug’s manufacturer, who confirmed what Tomaka had begun to suspect: The company put wheat in its pills. His patient wasn’t allergic to the actual medication: She was allergic to gluten. Today, Tomaka is media liaison for the American Pharmacists Association. He’s also a big advocate for binding agent allergy awareness. Binding agents hold chemicals together into a form that can be injected, applied, or swallowed, and are listed as inactive ingredients on the drug label. These agents can be anything from the polyethylene glycol that holds together a tablet to the gelatin forming a pill capsule. In the ’90s, learning which binding agents were in a drug was problematic. “It was not easy,” Tomaka says, explaining how you had to phone the manufacturer, then wait for them to look it up. For his thyroid patient, it took 3 hours after Tomaka’s call to get an answer. I’m not allergic to phosphate, but I am allergic to sulfur, which makes it hard to treat everything from eye infections to attention-deficit hyperactivity disorder (ADHD). Not only is sulfur (or one of its forms) in some eye drops and Adderall, it’s in chemotherapy treatment, Neosporin, the antibiotic Bactrim, yeast infection pill Azo Plus — the list goes on. Heaven forbid I actually have a reaction to something and reach for my rescue inhaler, which used to be Albuterol: Now it has sulfate too! According to Tomaka, you can take something for years, just to have the drug’s manufacturer change. A change in who makes it often changes what they use as binding agents. She notes that the name brand and the generic may contain different binding agents. But a true alternative, Tomaka suggests, is custom manufacture: “If you are truly, highly allergic [to a binding agent] and there is no commercial product available — and it can be compounded — there are custom compounding pharmacies that can make many medications.” The trick, though, is getting insurance to agree when you call for preauthorization. The representative may be understanding about the binding agent allergies issue — or may not. I have never gone into anaphylactic shock from a binding agent allergy, which Parikh says can happen if someone who’s allergic to gelatin takes certain vaccines. But I did learn Adderall has sulfate in it the hard way: I took it once for ADHD and had difficulty breathing, hyperhidrosis (excessive sweating) and hallucinations. As I later told my doctor and pharmacist — who both knew I was allergic to sulfur before prescribing and dispensing Adderall — it would have been great to have known that was in there beforehand. How Do You Know If You’re Allergic? So how do you know you’re allergic to the binding agent instead of to the medication it binds? In my case, a Google search revealed the 2 sulfate compounds in Adderall: dextroamphetamine sulfate and amphetamine sulfate. You can also ask your pharmacist for the full FDA label, which should include all ingredients. Note not all organic or over-the-counter drugs are FDA approved and, as such, are less likely to list everything. 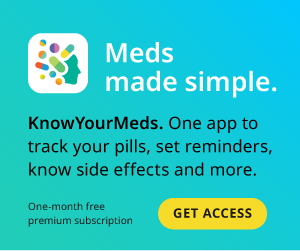 When you don’t already know about an allergy, though, Tomaka says identifying the true offender is a process of elimination: “I ask what happened.” For example, if your mouth or tongue swells within minutes of taking a pill, you’re likely allergic to the capsule itself instead of the drug in it. Is It the Drug or the Dye?